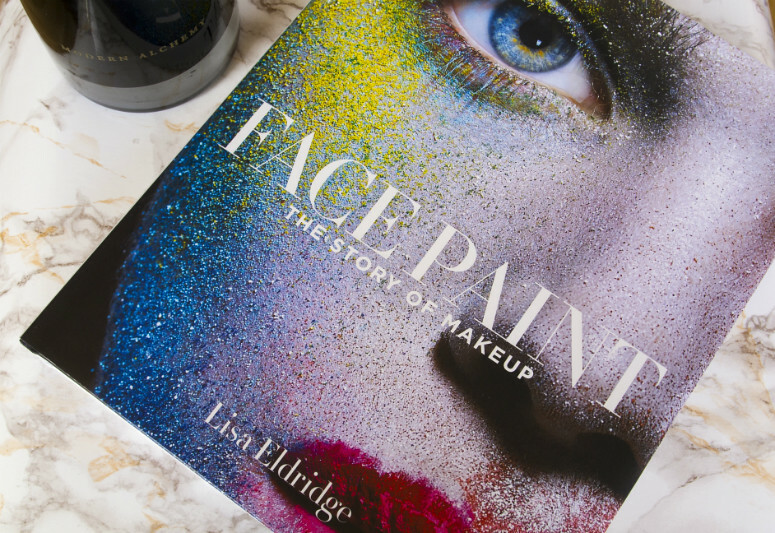 On Wednesday, I was fortunate enough to secure myself a place at the At Home with Lisa Eldridge pre-book launch event for her new book, Face Paint, where in a series of small hour-long sessions, we would get to hear Lisa (yes, I'm going for first name terms!) talk to us about what inspired her behind writing this book, a small q-and-a, watch a funny short video she has started for the promo, view some of her vintage makeup collection, as well as receive a copy of the book before everyone else and have her sign it. Hosted in the Liberty Heritage Lounge, Lisa had a hand with how it was decorated, transforming it into something akin to her home, so that we would feel like we were in the House of Eldridge itself. Let's just say it must be a very cosy and undoubtedly stylish house because there were some gorgeous furniture pieces in there. I went for the earliest slot, but even this was completely packed as, so popular is Lisa, that I expect everyone who read her post about it immediately subscribed booked themselves for the event. As for the lady herself, Lisa is exactly how you would expect from her videos, and more: beautiful, charming, and funny. Truly, she was absolutely lovely in person and so down to earth. Talking about the process and inspiration behind her book, she revealed that she had actually originally written it as a documentary, but had been turned down when she approached a producer, long before she moved into YouTube. At the same time, Lisa had been building up her vintage makeup collection, colleting pieces that signified different aspects of makeup history. Well, I'm extremely happy that she kept up her passion for vintage and historical makeup, because she has produced a wonderful book, that has been thoroughly researched, beautifully photographed and presented, and more importantly for me (I studied history), organised extremely well. A walk through the history of makeup could be a very long and extensive one, and I'm sure Lisa could write a few more books on the topic, but she managed to organise the book into two sections, the history of makeup and the creation of the makeup industry. The history of makeup could have been a very long section, but Lisa managed to channel her focus around three colours: red, white and black. I think if she had tried to do it chronologically, it would be all over the place, and possibly a little boring to follow. Instead, Lisa takes us around the world through various cultures and time periods to talk about the different makeup trends and attitudes. She also slots in various different quotations and smaller snippets of stories. You can also tell from the presentation and layout just how much of a hand Lisa had in the design of the book; everything is aesthetically pleasing and the art design is second to none. The second section of the book focuses on the development of the makeup industry and the different ingredients that are incorporated into products. 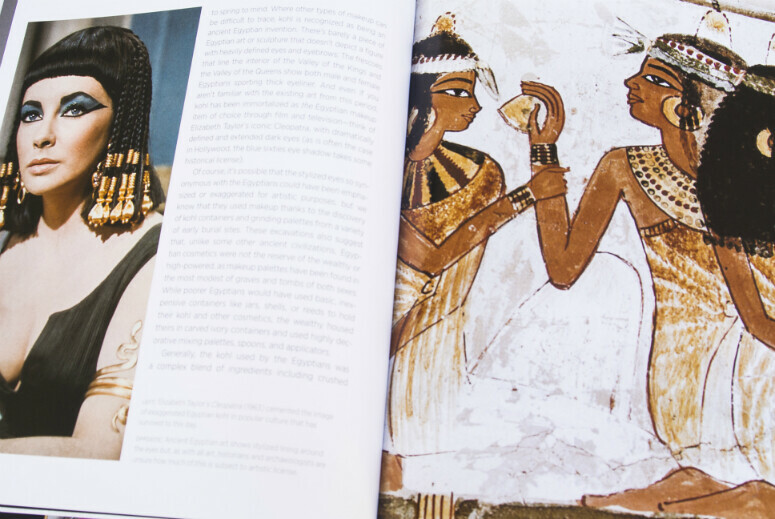 Throughout the book, you'll also find a lot more of the "who's-who" of the women who have led the way in terms of makeup looks, including Twiggy, Elizabeth Taylor and Amy Winehouse amongst others. This book will be a lovely addition to anyone's library, and not just for a makeup-lover. Lisa's writing shows just how passionate she is about the subject which really carries through in her writing, and more significantly, it doesn't just chronicle the history of makeup, it tells a history of women, and their place in society with it. It seems rather ridiculous now to not have thought of it before, but during the talk and in reading this book, I came to appreciate even more the fact I've been born in this time. Something that I take for granted is the seemingly small and unimportant act of putting on makeup each day, is in fact a symbol of my freedom. I can choose and create a new look (or wear the same as before) everyday, because I feel like it, without having to worry about conforming to the judgement of religion, politics or men. I have that choice, you have that choice. The story of makeup is very much the story of women, and hearing Lisa talk, as well as reading about it has made me not only appreciate that I'm continuing the tradition of beautifying myself with products in the same way Ancient women have done, but also my place in society now. Sorry that this has become an extremely long post, but it's hard not to have been inspired from meeting the brilliant Lisa, and reading such an interesting topic. I hope that if even if you don't buy it, you get the chance to read it somewhere, not just for its fantastic visuals, but also for the thought-provoking writing inside it. The book is officially launched on the 13th October.